This is the Tinusaur User Guide. 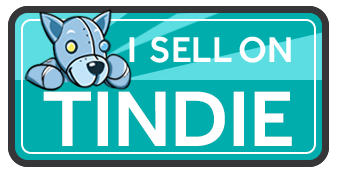 It contains general information about the Tinusaur Project, the Tinusaur Board, the components that are used as well as some other useful information. 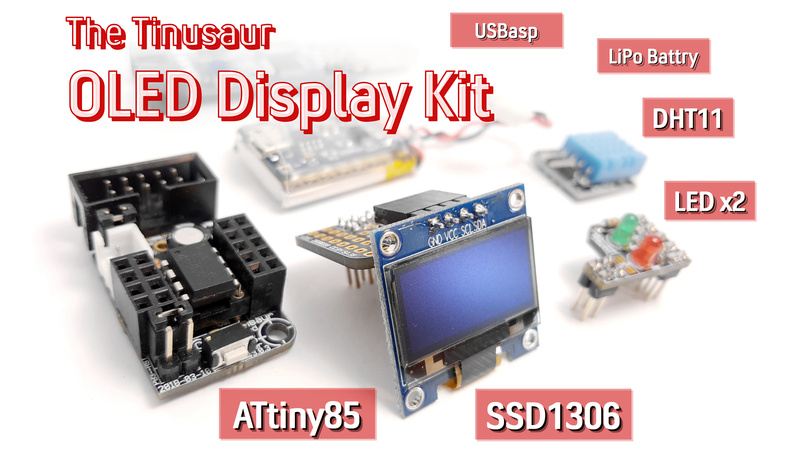 The Tinusaur Starter is a beginners’ kit that will help you start with microcontrollers and the Tinusaur particularly. 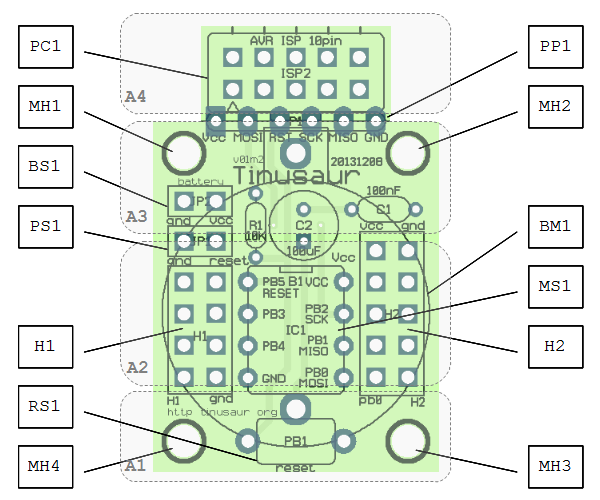 There are 4 areas that a Tinusaur board could be divided to: A1, A2, A3, A4. That is applicable for the actual Tinusaur main board as well as any shield boards one could produce. this is the area where the RESET button is placed on the main board. for a shield board that area could be used to put some components and produce a simple circuit. there are 2 header – one 2×4 and another one 2×5, they are different for a reason. on the main board, between the headers, is placed the MCU. on a shield board, between the headers, could placed an 8-pin chip or other components. 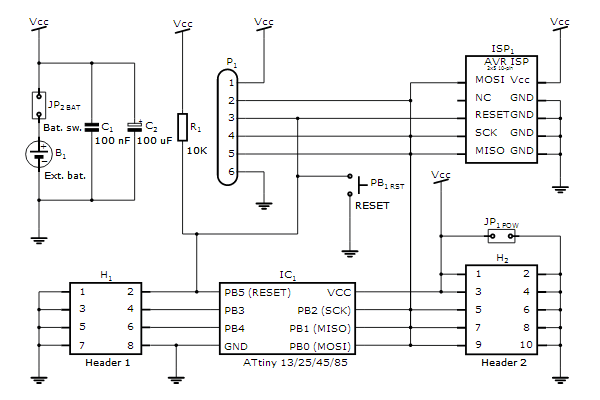 there are the minimum required components for the MSU to work – 2 capacitors for the power source and one pull-up resistor for the RESET. jumper for external power – red. jumper to switch on/off battery – yellow. there is optional cell-button battery mount.